Koyasan is about 1 hour 30 minutes from Wakayama by car but train service is also possible. The clacking sound made by the monks' geta (footwear) as they walked was in contrast to the silence of the forest. 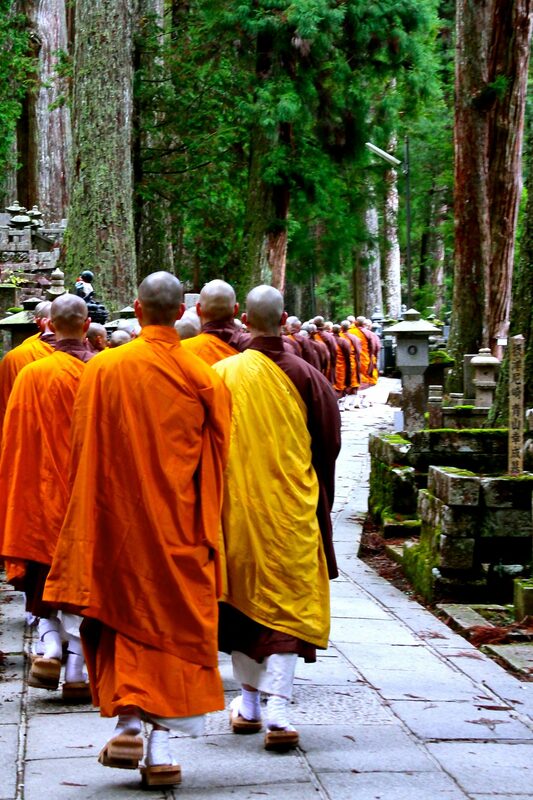 Buddhist monks on their way to prayers in Okunoin, the largest cemetery in Japan. It is located on Mount Koya (Koyasan) in Wakayama Prefecture.